Whether you’re getting ready to go on holiday or you’re just preparing for the warmer weather (which we hope will arrive soon!) getting fake tan ready is a must. Here at Wilko, we’ve put together a top guide to achieve a flawless fake tan. Unfortunately, getting the right tan can often be a bit trial and error, so it may take a few different products and tests to get the ultimate tan that suits your skin. 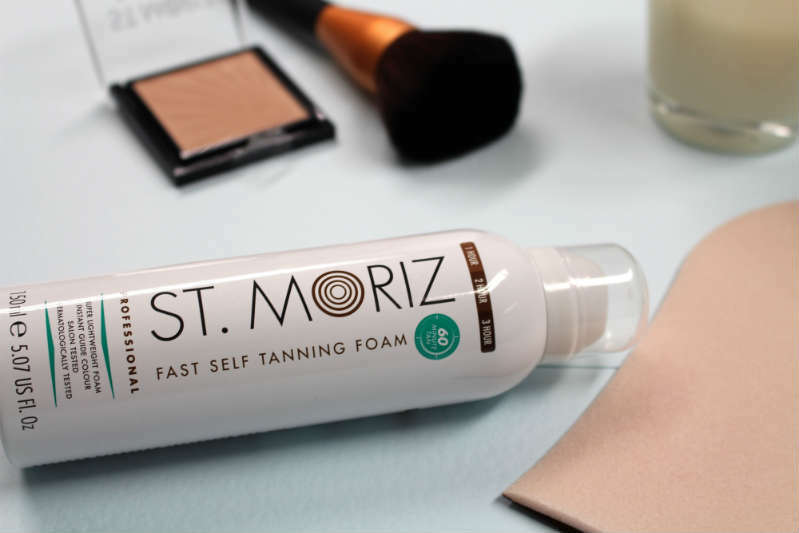 If you are feeling a bit pasty and your legs resemble milk bottles, it may be better to use a gradual fake tan product to build up a natural looking base. This is key to achieving an even-looking tan. If you’ve got dry patches of skin, the self-tanner will soak more readily into these areas, which will leave your tan looking patchy. Thoroughly exfoliate areas that are more prone to dry skin; e.g. ankles, feet, neck, elbows and knees. Try to do this the day before you apply your tan and avoid using any oil-based products as they can prevent your self-tanner from absorbing into the skin properly. It’s best to wax or shave the day before you apply the self-tanner as doing it straight before can make the fake tan collect in your follicles creating dark spots. If you need to shave after you’ve applied the fake tan, do this at least 24 hours after as this will naturally exfoliate your skin and can take the top layer of your tan off. Getting rid of those patches of dead skin effectively will require moisturising just before you apply your fake tan. Apply more moisturiser than you think you need and target the key areas we’ve mentioned before as well as other areas you think may attract the tan – e.g. scar tissue. Before you start applying the tan, make sure you’re fully prepped and know exactly where you’re applying your fake tan. This will help to make sure all of the areas you need to cover have been taken care of. It’s best to start at your feet and work your way upwards so your arms are the last thing to do as this will avoid smudging bits you’ve already done. Get between your toes and right around the backs of your ankles as this is where your tan can really show itself up as being fake! Wear a tanning mitt too as this will help to create a streak-free finish. And, if no-one’s on standby to help reach that awkward bit between the shoulders, opt for a lotion with long handle applicator. You’ll need a bit of patience after you’ve applied your tan because you shouldn’t get it wet for at least six hours. Try to avoid wearing anything tight for this same period too; things like seat belts can rub your tan off and give you bizarre lines. The product you are using will indicate how long it should to take to dry but if you find you’re in a rush and your fake tan’s still sticky, use the cool setting on your hairdryer to try and get it dry. When you’ve finished, you might think you can just take off the mitts and enjoy your glowing skin, but forgetting your hands is a cardinal sin in fake tanning. Moisturise your hands thoroughly, covering your wrists, knuckles and nails. Then apply a little self-tanner to the backs of your hands and rub these together. Keeping your hands back-to-back, link your fingers to get some tan on the insides. Shop our full range of self-tanning products at Wilko.com and don’t forget to share your self-tanning secrets with us on Twitter and Facebook.